Find the answer to your question about Uptasia here. Browse questions that have come up, or search for a specific question. Do you have a forum or guides for the game? We have a forum full of very helpful players here! If your account is an upjers account linked to the portal, you can simply use your username and password for your game to log in! If something is not where you are very sure it should be, chances are it's just invisible to you. This can be a result of faulty cached image files. Your Flash Player will often save some files to your computer to make loading quicker for you. But if these files get messed up, or aren't up-to-date, it can lead to missing items and error messages. To fix this problem, you should clear your Flash Player's cache. To clear your cache: - Select the second tab (Global Storage Settings panel) - Remove the tick in the second box (the one right at the bottom "Store common Flash components...") - Confirm the change - Then tick the box again. Then reload the page with the game and see if everything's there now! How can I delete a friend or a pending friend request? You can delete friends in Uptasia yourself - just go to your profile and click on the second to last tab (Friend Administration). 2. Click on your avatar image in the top menu bar, to open your game-settings. 3. Now click on "Delete account" on the left hand side. Please be careful, as your account will be irretrievably gone then, and cannot be reinstated by us. Your portal account (under http://en.upjers.com) will be retained, though, and you can always create a new game account on the game's login page using your Portal login details. How can I find friends? To find friends in Uptasia, you will find a specific area in our forum. The forums are part of the Portal, so if you're not logged in already, you can log in with the same information you use to log into the game! How can I remove a path? 1. You only wish to remove this part of the path. In this case, please click the same spot to mark the ending point. So what you do is you mark the starting and ending point with two brief clicks, to mark the path for removal. Now click next to this field to tell the system you are done marking the path and you wish to remove it. After a brief animation, it will land in your inventory. 2. You also want to remove an adjacent path. In this case also mark the parts of the path with your left-hand mouse button. Once you have marked all pieces of the path, click next to the fields you marked and as in case 1), the entire path will be removed and stocked. I bought Coins via PaysafeCard, but they haven't arrived yet. If the debit wasn't successful, the amount of money is generally credited back to your code; therefore the money should still be on your card. There you can check your credit and verify your turnovers. Should the amount have been debited from your card, please state your PaysafeCard transaction ID as well as the date of your payment. I bought Coins/Diamonds/Dosh/Gold Bars/Cocoa Beans via PaysafeCard, but they haven't arrived yet. All our game servers are entirely independent from each other. That is why it is unfortunately not possible to transfer an account from one server to another, or trade and communicate between different servers. You can only trade with players, if they are registered on the same server. If you would like to play on the same server as your friends and/or family or switch for different reasons, they need to register on your server, or you need to register on their server, and start from the beginning. Settings from one server cannot be transferred to another server. If you just want to talk to your friends while you are on-line, you can always do so via the forum as well! I can't find a specific player using the player search, and I can't send him messages or contracts. All our game servers are entirely independent from each other. That is why it is unfortunately not possible, to transfer an account from one server to another, or trade and communicate between different servers. I can't log into the forum. Are you sure you're logging into the correct forums? With the exception of Kapilands and Kapi Regnum, all of our Forums can now be found in the Portal. You can log in here with the same username and password you use for your games! I didn't receive the activation mail with my login data. Please check your spam and junk inbox. Maybe the activation e-mail is hiding there. If you can't find the e-mail, please state your forum name and date and time of registration in your support request. You will be sent a new activation e-mail. I forgot on which server my account is registered. If you saved your registration mail, this is no problem at all. Aside from your login data, it also contains the server info. If you didn't save the registration mail, you can use the "Password forgotten?" function on every server. Along with the new password, you will be sent your server and the login data via e-mail. You can also try to log in on every server using the trial-and-error method until you have found your game server. Unfortunately, there is no other option. If all that fails, you can still contact support to see if they might be able to help. Keep in mind that in some of our older games, game accounts may be deleted after 180 days of inactivity. I forgot on which server my account was registered. If you have saved your registration mail, this is no problem. Apart from your login data, it also contains the server info. As your account is valid both for the game as well as for our portal, you can retrieve a new password for both your Uptasia account well as the Portal account by copy/pasting this URL into your browser's address bar, entering your email-address in the newly opened window and clicking on "Send". You can also try to log in on every server using the trial-and-error method until you have found your game server. Unfortunately, these are the only options. I have transferred money via bank transfer in order to receive Coins. When will I get them? Unfortunately we have no way of influencing the time the credit institutes take to process a transaction. This may take up to 3-5 working days, even if the money has been booked directly from your account, even longer in case of international transactions (our company seat is, as you may know, in Germany). We generally credit all transfers the day they arrive on our account. Maybe your transactions is among today's arrivals. Should you have to wait longer than 10 working days until the Coins have been credited to your account, please check your entries, and contact us again, if you are certain you have used the correct data. In this case please let us know the "reason for transfer" you have given in your bank transaction form, your User ID, the account holder's name and time/date of transaction. I have transferred money via bank transfer in order to receive Coins/Diamonds/Cocoa Beans. When will I get them? I linked my game account to the Portal, but now I can't log in anymore! Once you have connected an account to the Portal, you will need to use your Portal account information to log into your individual games, if you opt to log into them from their launch pages. Of course, you can easily log in via the "My Games" tab. Some of our older games will require you to click a little portal button to use your Portal information to log in. I wanted to buy Coins/Diamonds/Dosh/Gold Bars/Cocoa Beans via debit (Webbilling), but I could not understand the voice on the phone. If you didn't enter a PIN, your money wasn't debited. You can simply begin the payment process over. I would like to delete my forum account. The Forums are directly tied to the Portal; therefore, it isn't possible to delete just your forum account. Forum accounts are now directly tied into your Portal account; the two cannot be separated, and therefore, it's impossible to delete just your forum account. I would like to link an older game account to the Portal. How can I do that? If you have a Portal account, any new game accounts you create will automatically be connected to the Portal. However, if you have an older account that isn't connected to the Portal yet, you can do that after the fact. Just go to the "My Games" tab in the Portal. You'll see a little "Link Existing Accounts" tab over the box with your games. Click on that. Choose the game you would like to link an account from, and click on it. Enter your server and log-in information, and BAM, it's connected! Please note: Sometimes difficulties arise if you have deleted Kapi Hospital/My Free Farm accounts and then try to link a new account. Contact support if this occurs! I would like to transfer my account to another server. You can of course register on another game server any time. Since our game servers are not connected, however, it is impossible to transfer accounts from one server to another. If you would like to play on another server, you need to register on that one separately. You can close your current account or keep it, as you like. Coins, points and in-game money can unfortunately not be transferred. I would like to transfer my account to another server/game world. You can close your current account or keep it, as you like. Coppers, points and in-game money can unfortunately not be transferred. I'm no longer getting collection items from the Magic Tower event, even though the timer is still there! Magic Tower events generally start on Thursdays at 12:01am CET/CEST, and end at midnight Monday going on Tuesday the following week. At that time, the collection timer changes to show the time left to pick up the prizes you've earned, or buy missing collection items. This period ends on Wednesday at 11:59pm CET/CEST. My account was reset to level 1! Where is my saved game? My forum account has been banned. If you have violated the forum rules on various occasions, you have probably been warned by one of our forum moderators already, and are now banned. Should you not have received a warning from a moderator, you may have been blocked immediately because you have extremely violated the forum rules. The reason and the length of your ban will be displayed when you log in. Should neither of those things apply, please state your forum name as well as your email address in your support request; we will then examine your case. My menu buttons are gone/the screen is cut off! You probably just accidentally adjusted your browser's zoom - if you have a scroll wheel on your mouse it can happen rather easily. To make it go back to default, click somewhere on the background of the game page - anywhere on the background/border should do - and hit the "Ctrl" and "0" keys on your keyboard at the same time. The game is running very slowly. Why? What can I do about it? Hardware issues. Most of our games are pretty big and require rather decent computers to run properly. Internet connection issues. If you see a lot of little clocks and lag, a slow internet connection might be the cause. Long online sessions. The Flash Player will tend to get backed up and begin to struggle if you are logged into a game for hours at a time. Running several Flash or Unity Player games at the same time. Try to avoid doing this. Server issues. They are rare, but they can occur. A Flash cache with corrupted files. Log out of the game and back in every once in a while, to make sure that the Flash Player can keep up. Play with a good internet connection. Of course, being connected with the modem/router directly is best. If you're using wireless, be as close to the hotspot as you can. Surfsticks only provide mediocre internet connections in most cases. If your computer is not the newest, try to close other programs and games you have running. Clear your Flash Cache regularly. You don't have to overdo it, but it's a good idea after patches. Zoom in within the game. You might see less, but there are less graphics to process, and the game will run a lot smoother. Turn down your Game Settings - most games have a couple of options in the Advanced Settings. Make sure that your browser is up to date. The playing field is black/white/blue/green! Something is probably wrong with your Flash player - it might not be active at all, or you may be experiencing issues with some of the settings. First off - take a close look at your playing field. If it says "To view this page ensure that Adobe Flash Player version 10.1.0 or greater is installed" or similar in the top left corner (it may blend in quite well) you either don't have a Flash Player, or you do not have it active. Type "chrome://plugins/" (without quotation marks) into your url bar at the top of the screen and hit enter. You will see a list of your plug-ins in Chrome. Look for "Adobe Flash Player" or "Shockwave Flash Object" and make sure that it is enabled (if it is, you'll only see a "disable" link. ....and look for "Shockwave Flash." Select "Always Activate", or "Ask to Activate" (if you want to give it permission every time you need it) from the dropdown on the far right, and you're good to go! Make sure that "Enable plug-ins" is checked at the top, and look for "Shockwave Flash"
Make sure that it's enabled! If it isn't, click the "Enable" link, then close and restart the browser. Click the little gear icon in the top right corner. Select "Manage Addons...". 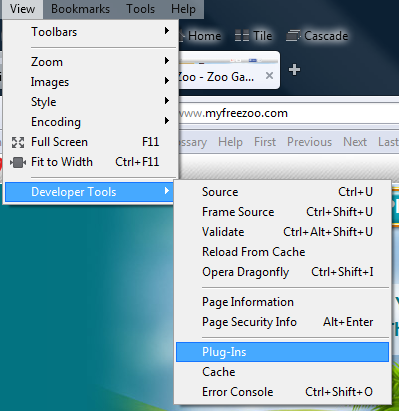 A window will open that will allow you to look at your addons and extensions. 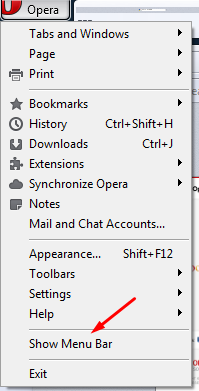 Look for "Shockwave Flash Object" or "Adobe Flash Player" in the "Toolbars and Extensions" category. If it is disabled, click on the "Enable" button in the bottom right-hand corner of the window. Close the window and restart your browser. The time display in the forum is incorrect after the switch of the daylight savings time. Go to your "User Control Panel" in the forum and click on "Board preferences". You can switch DST by ticking "Yes" or "No" respectively in the menu item "Summer Time/DST is in effect". There are several players in our household, is there anything we need to look out for? In order to ensure that all our players have the same chances within the game, all trades between players using the same internet connection (at home, at work, etc.) are expressly forbidden. We cannot make any exceptions here. Of course it is always possible, that friends, colleagues and family members using the same internet connection are registered on the same server. So we can differentiate these PC-user-communities from cheaters, it is unfortunately adamant that everyone sticks to this general rule. If you do this, you can play on the same server without any problems. And let's face it, there really are plenty of other players that you can trade with as well. Thanks a lot for your understanding and keep having fun playing! Of course it is always possible, that friends, colleagues and family members using the same internet connection are registered on the same server. In order to differentiate between these PC-user-communities and cheaters, it is unfortunately necessary that everyone sticks to this general rule. What advantages does as premium account have and how do I get one? You will find the premium account inside the ship under the category "Premium content"
1. Five additional free hidden object games per day, no waiting time between the first five games. 4. Removal loop for ressources. Mark five ressources and the avatar will mine them one after the other. Where do I find my bonus gift I received with a gem purchase? You will find the gift inside the shop (cash register in the top menu bar). All you need to to is build the item via the field "Place". Why am I on the black list? Being on the black list just means that you can't receive e-mails from us anymore (with the exception of support e-mails). Usually, you wind up on there because you unsubscribed from our newsletters or other mails, but you can also end up on our blacklist by marking or e-mails as spam or not being able to receive e-mails (for instance, if your inbox is over capacity). Why are my decoration points not counted in the quest I am working on? Did you recently redecorate your map? Do you still have decorations in your inventory? Please note that new decoration points will only be counted for decorations quest once you have regained your former maximum amount of decoration points. Needless to say, all decorations you sold in the meantime will also be counted. Are you sure that you have chosen the right server? You need to choose the server you registered on, if you want to log into the game. If you are unsure which server you are registered on, please check your registration confirmation mail. Please also note that our game is available in several languages. So please make sure that really have selected the US-American version, or that you indeed are registered on the US-American version. you have entered your login name and password correctly. There should be no unnecessary spaces. These may have been added accidentally, if you have copy/pasted the password. Also note that the password is case-sensitive. So please check that you haven't accidentally turned on your key lock. In case forgot your password, please use the option "forgot password", and you'll automatically be sent a new one. Use that one, to connect to the game. You can later on change it in your in-game Profile. If you don't receive the email with your new password, please check your Spam-Folder. Please also note that your login name may differ from your user name (depending on the game you are registered on). Your user name is the name that is displayed within the game, in order to connect to the game, you need to use the login-name. We also run nightly backups some time between 2 and 5 am CET/CEST (Central European (Summer) Time). If you're experiencing issues at that time of day, it's likely they are just temporary. Try again a bit later! If you are still unable to connect to the game, please contact us again, if possible, by giving us the exact error message you receive when trying to log in!